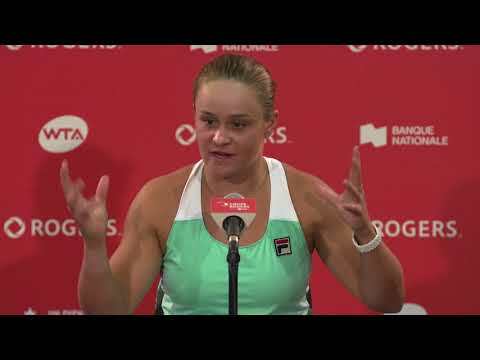 While Milos Raonic and the ATP World Tour’s best will now look forward to next year’s Rogers Cup presented by National Bank in Montreal, there will be no shortage of talent on the courts of Toronto one season from now. The WTA’s brightest return to Aviva Centre in 2017 and fans can look forward to seeing all the top stars in their own backyard. Select ticket packages are currently available at tickets.rogerscup.com/toronto/. Leading the way will be Canada’s own Eugenie Bouchard, who posted her career best Rogers Cup this year in Montreal by making the third round. The 22-year-old star impressed in ousting Lucie Safarova and Dominika Cibulkova this week, and will hope to be playing even stronger tennis in 12 months’ time. This year’s Rogers Cup champion Simona Halep has reached the final of the premier Canadian event for the past two years. Entering 2017 she hopes for a third straight final appearance and to capture the prestigious title back-to-back. 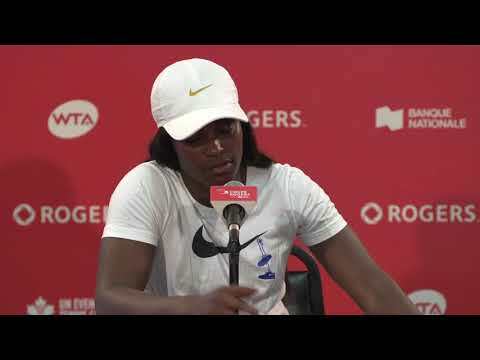 The last player to capture the championship in Ontario was Belinda Bencic, who unhinged four of the tournament’s top five seeds en route to her maiden Rogers Cup title. While she missed out on Montreal this year, the Swiss star will look to defend the title in Toronto next season, against a field of fierce competition. Fans are also eager to catch the return of three-time Rogers Cup champion Serena Williams, winner in Toronto in 2011 and 2013. The American powerhouse has dominated the WTA in recent years, but a contingent of young players look to dethrone her ruling over the No. 1 spot. Among those players is fellow American Madison Keys. The 21-year old is on the rise, and her career continues to soar, having reached the final of this year’s Rogers Cup. Keep an eye on Keys as she attempts to become a fixture atop the tour. Other notable stars you can plan to keep an eye out for is 2016’s Australian Open winner Angelique Kerber. The German fell in this year’s semifinals but you can bet Kerber will look to include success in The Six on her calendar next August. Garbiñe Muguruza and Agnieszka Radwanska are just a couple of the other names you can expect to see touch down in T.O. next summer as Rogers Cup presented by National Bank hosts the talented players of the WTA for another year!